Those heralding the decline of World of Warcraft might have to reconsider, based on the latest sale figures. Blizzard Entertainment announced last week that 3.3 million copies of World of Warcraft: Legion were sold in the first full day of release. The number matches the all-time record achieved by previous expansions, with player numbers rising to their highest point since 2010's Cataclysm. Sales figures may be the only indication we'll get of the game's population, however, since Blizzard has stated it will no longer report subscriber numbers. Legion launched on August 30, bringing the Burning Legion back to Azeroth. Also returning is fan-favourite anti-hero Illidan Stormrage – this time fighting alongside players, rather than against. A slew of new features were also added, including Class Halls, a reworked Honour system for PvP, and an obligatory level cap bump to 110. 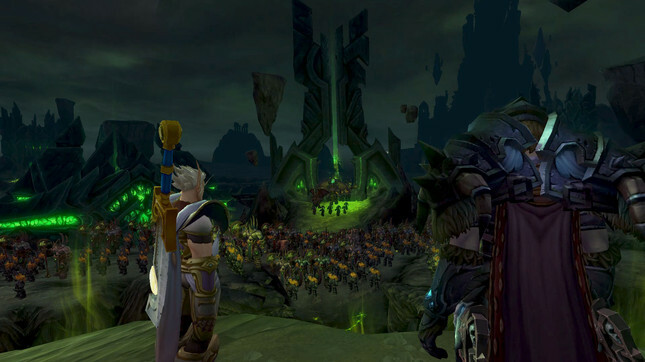 "It's been a thrill to see players hunting demons, powering up Artifacts, and freely exploring all the new zones in Legion," said Blizzard Entertainment cofounder and CEO Mike Morhaime. "We worked hard to make this the best World of Warcraft expansion yet, and we look forward to providing players with even more content as Legion's epic story unfolds in the months ahead." The promise of more content is sure to keep players happy after the abysmal number of updates given to previous expansion Warlords of Draenor. True to its word, patch 7.1, entitled Return to Karazhan, is already being teased to players. World of Warcraft: Legion is available now from Mighty Ape.